Every Nissan outboard is tested before it leave the factory. Not spot checked, but water tank tested. 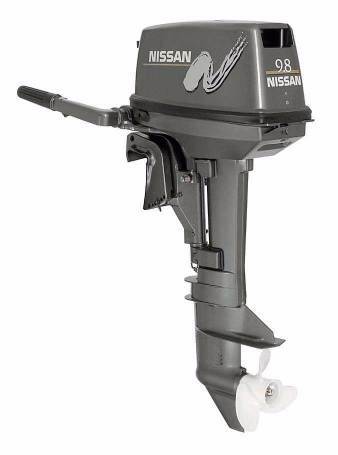 For many years, Nissan Marine carbureted 2-stroke outboards have been hailed as the most dependable outboards by experts- from marine editors highly respected for their knowledge of the entire industry to experienced mechanics who work on multiple brands. Our new technology TLDI 2-strokes use the same basic engine that’s been proven in millions of hours of use in every kind of condition- we’ve just changed the way the air and fuel are delivered to make these outboards even more efficient. No technology is incorporated and put on the market until we are convinced that it is ready to deliver the same dependability for which Nissan Marine is famous. Nissan Marine has been selling outboards since 1984, and they have come to be recognized for their dependability throughout North America. "Nissan Marine has developed a worldwide reputation for rugged 2-stroke engines from 2.5 to 140 horsepower. Fuel consumption (on Nissan’s 50 TLDI) of 0.2 gph at 1000 rpm is the lowest I have ever recorded for any 50hp engine. Fuel economy remains outstanding up through the rpm range. The smallest direct-injected two-stroke outboard takes on the four-strokes with low noise and emissions and economy." "This particular 90hp model has over the years carved out a stellar reputation around the world, and it’s easy to see why. With the recent TLDI upgrade the performance and economy is remarkable. To say that Nissan has made significant inroads into sophisticated 2-stroke technology is an understatement. Noise levels were noticeably improved over expectations for a 2-stroke outboard. Lightweight and snappy throughout the power curve, its performance left little to be desired. 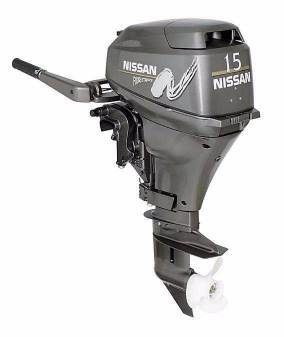 For a fishing boat where response and weight-to-power ratio is critical without sacrificing economy and reliability, the Nissan is an obvious choice." "The Nissan 90 TLDI is a good case in point. Warranty work… is just about nonexistent… which speaks volumes about Nissan’s reliability." If you require more information please check out the official Nissan Marine website at www.nissanmarine.com. Or better, yet give us a call and we would be happy to answer your questions.